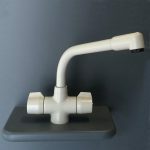 Not all taps sold in the UK are actually designed for use in the UK. 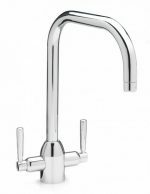 Factors such as low water pressure in certain areas are not always considered in the design and manufacture of many imported taps, and anybody buying one of these will end up disappointed and frustrated as they should have bought a low pressure kitchen tap instead. 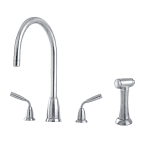 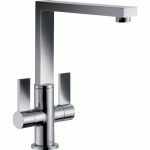 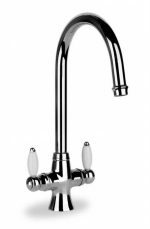 We have a range of low pressure kitchen taps in a variety of styles to suit all kitchen designs in areas of low water pressure, and we offer them all for sale at the guaranteed best prices of any retailer operating in the UK. 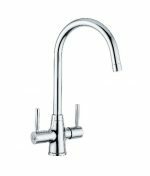 Low water pressure and the consequent need for low pressure kitchen taps often presents itself most noticeably on the water side of a kitchen tap – i.e. 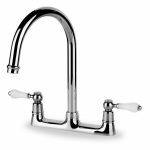 a person might have adequate water pressure on the cold side, but only a slow water flow on the hot side. 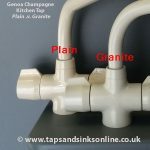 This can be a particularly common problem in bungalows where the hot water supply is gravity fed from a hot water tank rather than coming through a combi boiler. 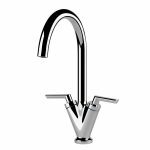 One of our low pressure kitchen taps can help solve the problem through one of a number of means, with the most common being the use of a compression valve or ¼ turn valve. 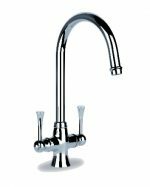 A compression valve, such as that used in the San Marco Milano or San Marco Venice low pressure kitchen taps, has a twist/turn action. 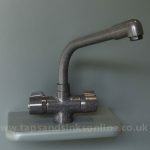 A low pressure kitchen tap with this type of valve works perfectly in a house with low hot water pressure from its kitchen tap, and usually solves the problem. 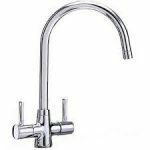 A ¼ turn valve, for example as used in the Carron Phoenix Opus or San Marco Davenport low pressure kitchen taps, can also solve the problem. 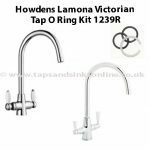 One slight disadvantage is that it can take some pressure from the hot water side of the kitchen tap, but this usually only happens with older bungalow designs. 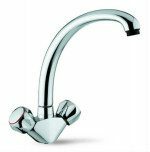 If in doubt about the water pressure in your home or the need for a low pressure kitchen tap, we recommend you consult your plumber, who can easily measure the pressure and advise on the best type of low pressure kitchen taps to use. 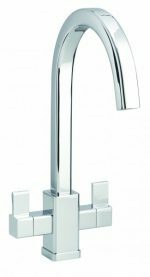 When it comes time to choose, remember that we sell our low pressure kitchen taps at more competitive prices than any other retailer in the UK, and that all our low pressure kitchen taps come with a full guarantee of up to five years.